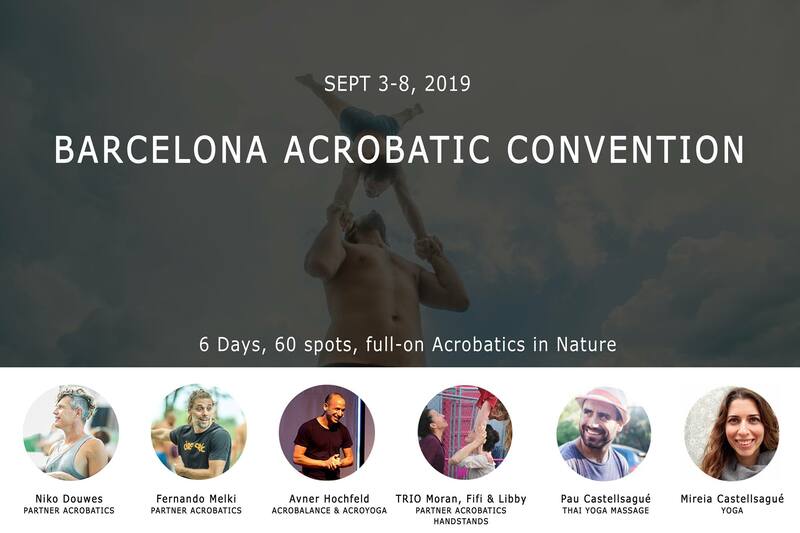 We are happy to announce the 4th acrobatic gathering in Barcelona. 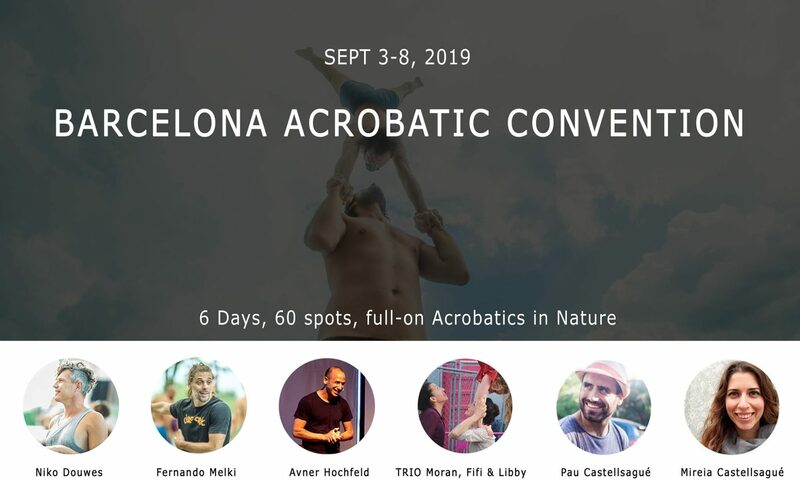 The BAC will bring together a group of 60 international acrobatic practitioners and 7 high level international & local teachers. The main content of the workshops will be: partner acrobatics, L base and standing, icarian, hand to hands and lots of games & fun! Omshanti Yoga Studio, a family-based, a homely and humble retreat center on the top of a hill, the horizon goes from mountain Montserrat to the Natural Parc of Montseny. Located in Granollers, 30min from Barcelona city. There are bunk beds in shared dorms and Camping spots available. You can also bring your van to sleep and get the camping price. For dorms we provide bed sheets, pillow with pillowcase and blankets. For campers, we can offer up to 10 mattresses with matching bedsheets for the first ones to reserve them. We do not provide tents, pillows nor blankets for campers. There will be three meals a day with fruit and nuts available all day for you to snack. The meals will be vegetarian (with cheese and eggs) and we can offer alternatives for allergy diets or vegans. Omshanti is a vegetarian, smoke and alcohol-free center. You are welcome to get extra food or beverages outside the center. At least 1 year experience in acrobatics to attend. Why? We are setting this limit in order for the participants to have fun, and to exchange in a safe and light environment. The workshops will not teach introduction to acrobatics. There will be three diferent levels: begginer/intermediate/advanced. Children are always welcome. It is a very safe environment where many children find exciting and with many possibilities to play and there are no nearby roads. We don’t have planned activities for children.